What do you think of this house for sale? 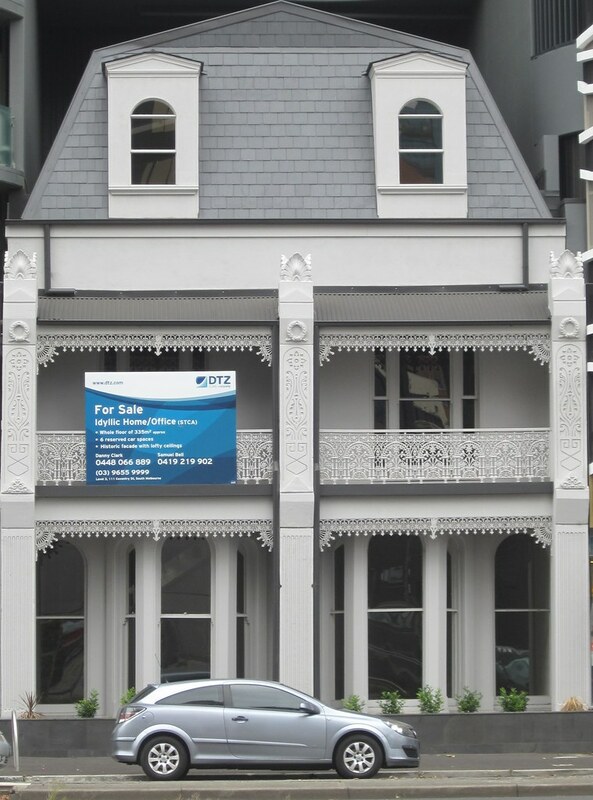 Inner-city location, described by the real estate agents as an “Idyllic home/Office”. Wait a minute. Zoom out. Zoom out a bit more. Turns out it’s on Kings Way, dwarfed by surrounding buildings, and almost drowning in passing traffic. 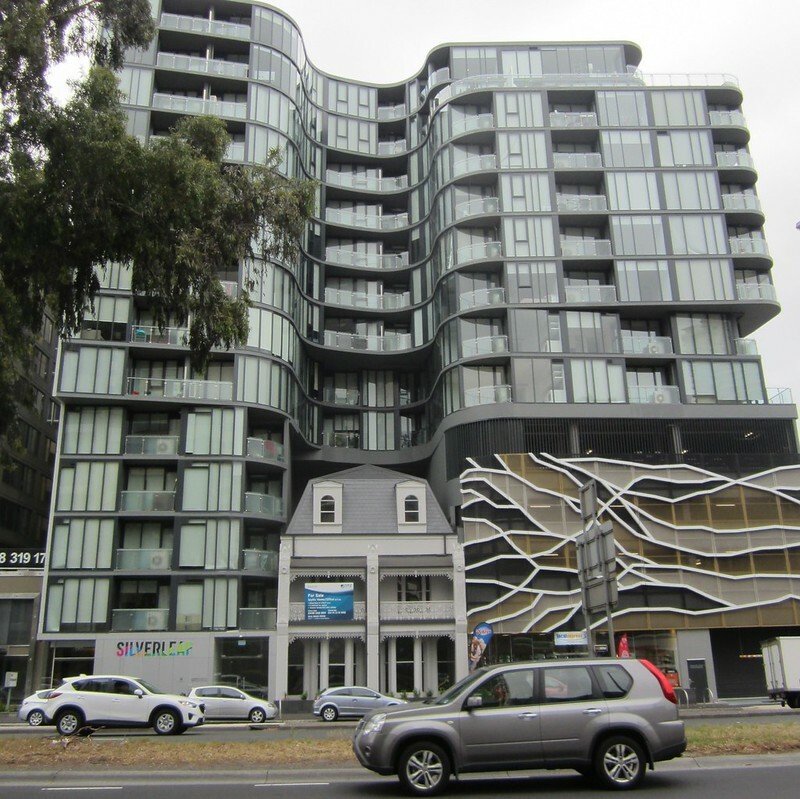 It reminds me a bit of three properties in Caulfield: the last house resisting the expansion of Caulfield Racecourse; a similar one at nearby Monash University Caulfield; and the half-house remaining next to Dan Murphy’s. ← Previous Previous post: Are the PSOs having an effect? Survey suggests no, but anecdotal evidence suggests yes. An extraordinary series of photos. I wonder which one the real estate agent will use to advertise the property. I’m happy living in Hampton, thanks! This is the sort of terrible heritage outcome that really devalues the whole thing. It’s as though context is irrelevant to heritage; compliance by box-ticking. 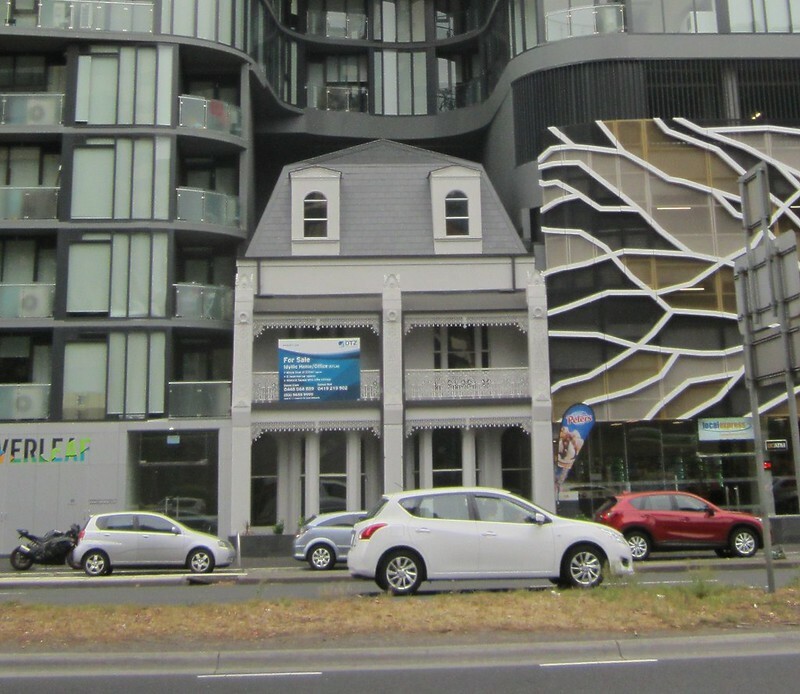 There’s an example of the same sort of bad architecture on the corner of City Road and Moray St, and there’s another on Bay St in Port Melbourne. We should either preserve heritage properly, or put something better in its place — poorly designed, cheaply built apartment blocks that will need demolition in 20 years or so, overpowering a building of limited heritage value seems like the worst possible outcome. The lone house at Monash Caulfield has been bulldozed a few weeks ago. At this stage, it’s a vacant lot, I don’t know what’s beeing built there.